M-Solv’s Laser micromachining applications laboratory is a purpose built, temperature controlled facility for laser process and functional inkjet printing research and development. Primarily used for proof of process it enables M-Solv to demonstrate the advantages of laser processing and industrial inkjet deposition for a new generation of manufacturing. Techniques used are laser micromachining, laser scribing, laser ablation, laser annealing, laser micro hole drilling, thin film removal, laser etching, laser micro cutting, laser micro marking, laser direct exposure, laser direct imaging (LDI) and many more direct write laser processing techniques. The available laser sources range from wavelengths of 266nm U.V. 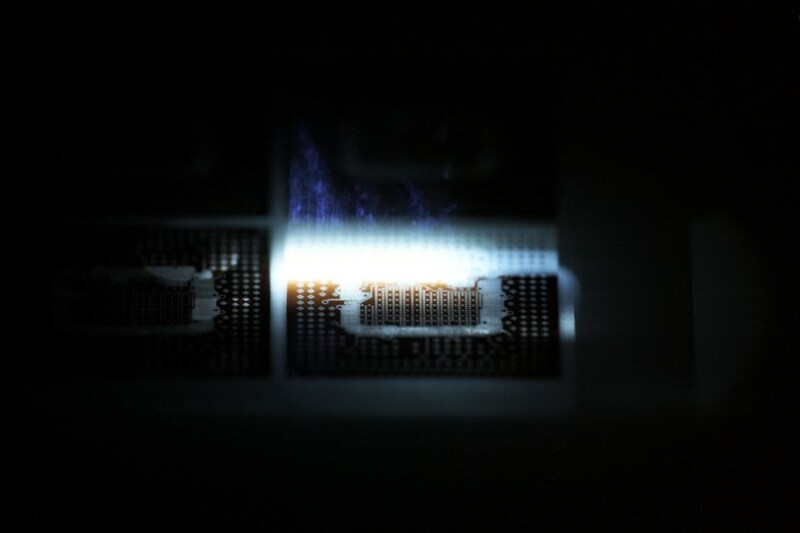 up to 1064nm Infra-red, and pulse widths from picoseconds up to microseconds. With a variety of R&D laser platforms of differing sizes and specifications M-Solv can process a broad range of substrates or componentry, utilising a combination of motion control, scanners, laser and optical set up. 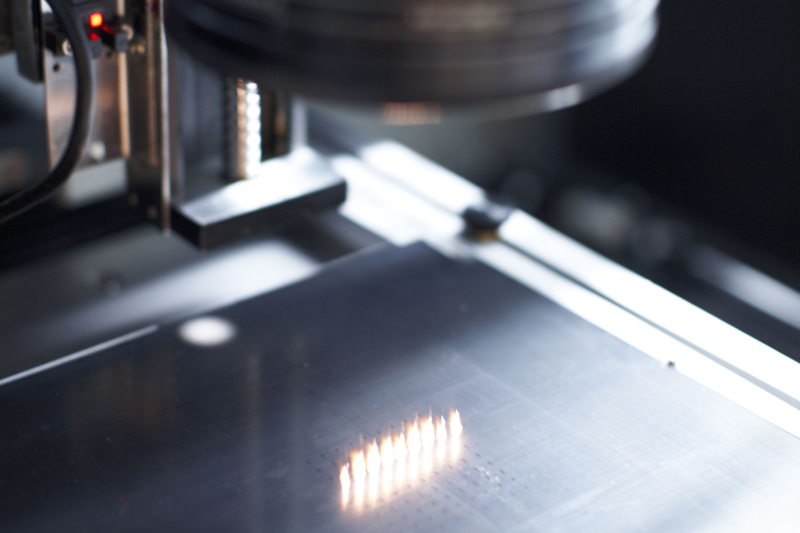 M-Solv develops and enhances, existing and new laser micromachining and micro-deposition applications, including laser ablation, patterning, sintering and cutting.